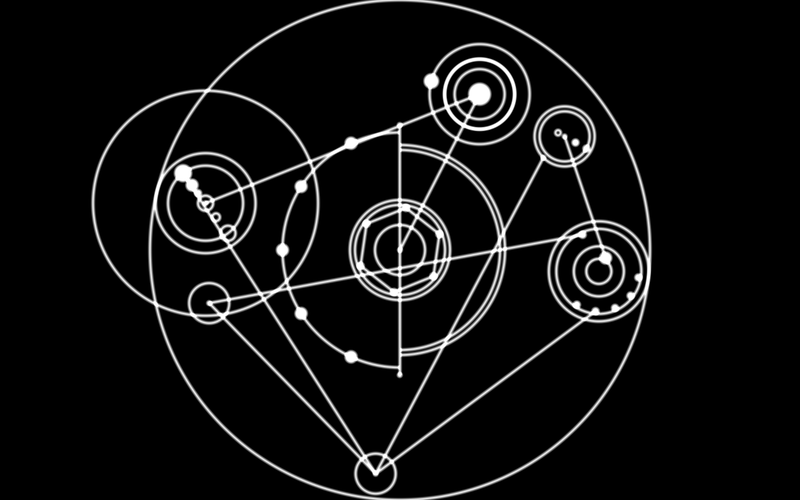 Here's another ShaderToy, this time based off of the time coordinates as seen in Doctor Who (2005) S7E13 - "The Name of the Doctor". While the picture does justice to the line drawing algorithm I created for the task (I was offline at the time), to really appreciate it you need to see it moving. This one maintains a constant framerate on my Nexus5, so should work pretty well on WebGL devices with at least that much power.